Happy Saturday everyone! Tomorrow is Halloween! Yay candies & chocolates lol :) So I guess most of you guys are out partying with your costumes on but me I'm spending my night at home writting this (very very late) post. If you follow my blog, you will know that I've tried a new line of skincare product called Skyn Iceland. I've tried their Detox it and their Pure Cloud cream too! What it claims: "This light-as-air daily moisturizing cream helps provide hyper protection and healing relief for super-sensitive skin. 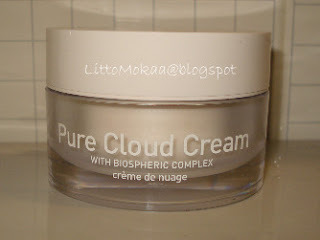 Formulated to rescue skin from external aggressors like harsh weather and provide comfort after dermatological procedures and surgeries, Pure Cloud Cream pampers and calms seriously stressed skin. Fragrance-free and dye-free, Pure Cloud Cream offers intense hydration, helps relieve skin irritation and discomfort, and helps heal skin. -Peptides: Help stimulate the release of feel-good endorphins and relieve skin irritation. -Oat extract: Reduces discomfort after skin trauma. -Hydrolized rice protein: Helps preserve healthy collagen. I bought this cream like months ago and they recently came out with a new packaging (still in a jar) and lowered the price (yay!) The texture of the product is not really a cream but I would say more like a fluffy-airy/gel-cream texture. Weird huh? It looks very rich but it's actually very light. The way I apply is by patting it on my face, I don't spread it because I found out that it absorbs better this way and there's a slight cool sensation too. It leaves a slight dewyness but it goes away after a few minutes, the time that the product sink into your skin. 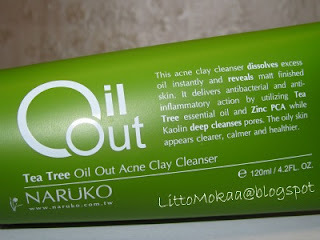 I used it as a night cream in summer, because I thought it was "too much" for my oily-combo skin in the scorching weather (we had a really really hot summer here) and have been using it as a day cream since the temperature dropped down (dry-combo skin right now). However, I feel like when it's going to get really cold here, I will have to apply a extra moisturizer or serum on my cheeks since they are like the desert of Sahara when it's freezing cold outside. After a few months on use, I can say that my skin loves this product since my eczema on my cheeks didn't pop out again and I didn't broke out =D I would recommend this to people who has combo to oily skin only. Maybe for people who has dry skin too but only in the summer. Hope you guys are having a blast at your parties! Is that product from Iceland ? Wow. I like the simple white packaging ! Where can you find this product and for how much ? Just curious cause' it sounds like a wonderful product ! Thanks for the review! I'm intrigued to try this cream! @Mookxi: Hi Mookxi! No the products are not from Iceland but they are inspired by there :) You can buy it on Sephora.com or directly on their website. The cream reatails for 65$US.